[dropcap]W[/dropcap]hen you have immense of authentic knowledge about your business and you have an outstanding website with complete information . To educate about the set of useful information about your products to the targeted audience is very much important. Now, as per current online marketing methods, marketers prefer to go ‘social’ and be direct to customer or their targeted audience. So when it comes to social media, generally, facebook, twitter and Linkedin popups in everyone’s mind. But the business mans or marketing managers, if wanted to rock their business to rock online and wants great number sales via niche traffic on their respective websites, they must not ignore one of the fastest growing and very useful Google’s social media platform ie. Google+. Google+ is designed in such way that it is efficient platform for personalization, networking, and effective online marketing. Digital Marketing Experts recommend G+ highly for generating niche traffic and good social engagement. 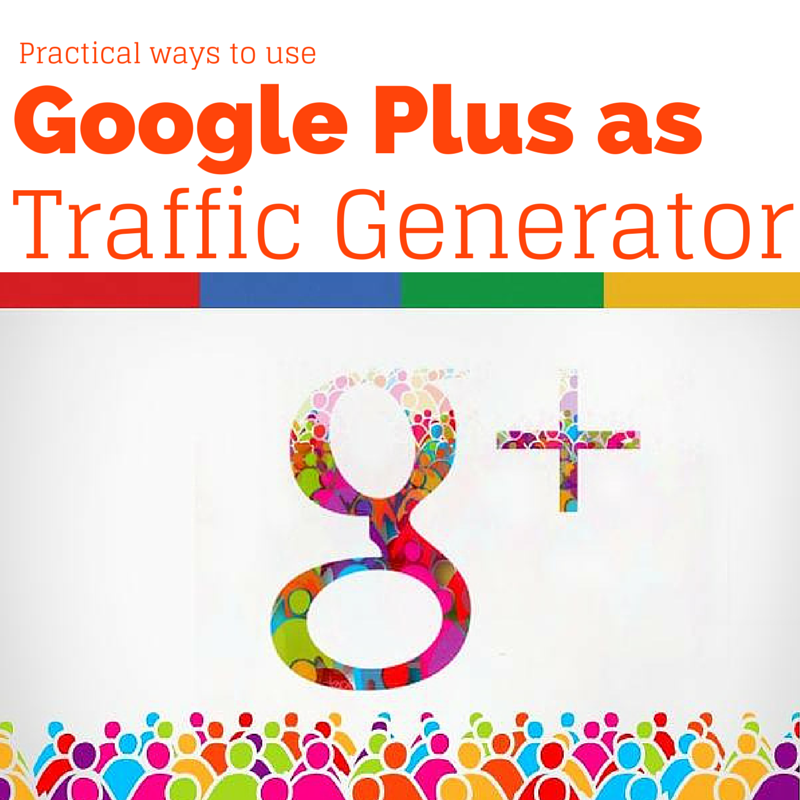 But very few marketers are aware about how they can get such a great traffic from Google+ and what can be done to process! 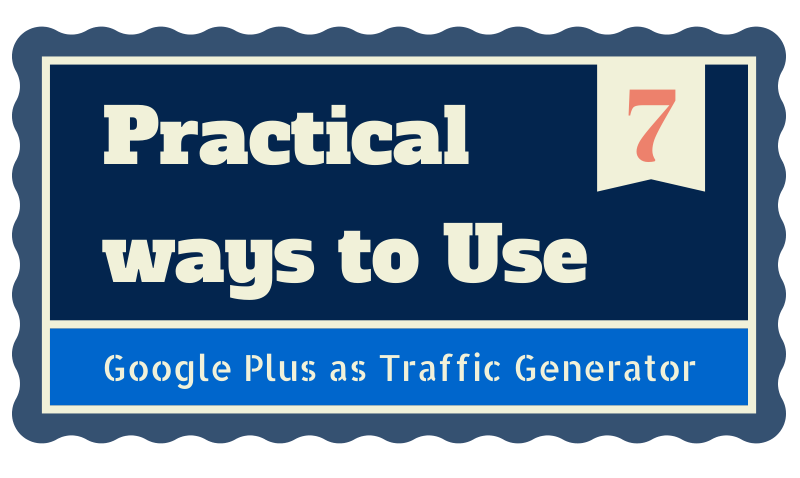 Let’s discuss Top Tips to drive traffic from G+. It is very important to complete the profile with appropriate information. To validate your or your business’s information a genuine and sorted descriptions should be added to your profile. Add headshot Profile Photo or for brand page add 250 X 250 pixels Brand Logo. Also cover photo is equally important as it cover major part of profile page when any one overview your complete profile. Add a decent, point to point tag line and introduction about yourself, which should be designed with relevant keywords describing you or your business. Complete your basic information (contact details, address, email Id, website, birthday date, etc). Do mention your rewards and achievements in Bragging rights. Plus. It is called Authourship, and it will help you to increase your Google Authour Rank. In Google + more people should follow you than the number of people you follow. In this way, you will gain more traffic, as more people will be able to see, engage and sharing the information you will share on your wall/timeline. Make sure you follow the people or brands which are related to your business or interested in your business. Content is the ‘King’. Hence, it is prominent to post valuable, non-spammy and useful content. It should not be too much of links, repetitive keyword stuffing or excessive hashtags. In any Google+ post there should not be more than 2-3 hashtags. Post information which is related to your product and recent updates. For sales pitch in your content, be very clear and specific with call to actions link within the few posts. Engagement with more and more number of people within your circle will generates the opportunity for your to be in interaction with many people and build relations. In this way, your circle with grow and it will ultimately generate traffic on your website. You can +1 the posts you like or appreciate; share other’s status or information, comment on posts and Q& A. Also, you can mention them by ‘+’ or ‘@’ in your post or comments. This way, you can generate natural and quality links. Communities are always been very useful offline or online. Specifically, Google + Communities helps the business to get showcase and increase the interaction among niche communities with relevant people. It helps you to share your information, get recent updates about your business, and also you get unique ideas to develop your brand. You can join as many as communities and also can create your own communities and share the stuffs as per relevant topic. 1) Google+ Hangout, which is similar like Google chats but with some advanced way and better user experience than Gtalk chats. 2) Google + Hangout on Air, which means that broadcasting yourself live via Google+ on Youtube (It automatically records and upload on Youtube and make it live). You can conduct many conferences, meetings, and webinars free. To make your post authentic, well nurtured, useful and attractive for users’ content is most important but more than text content visual content is epoch to drive attraction of visitors or readers. You also can try Google Plus Photo & Video Editing Features for better results. If you use Google+ actively and looking to generate traffic on your website than consider your Google+ social layer platform is vital for you to grow your business. You can share your tips with us comment under the blog. Also, share with us if you have any queries. Enjoy the amazing Tips.